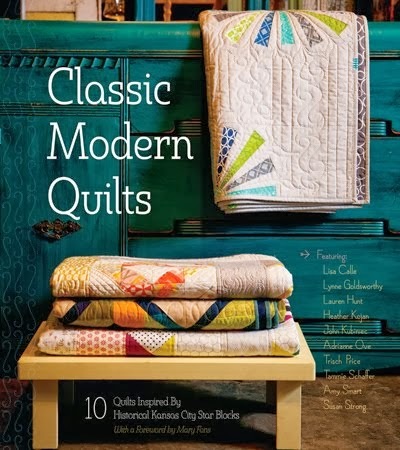 Fat Quarter Shop has another shortcut quilt, and this one is super fun! 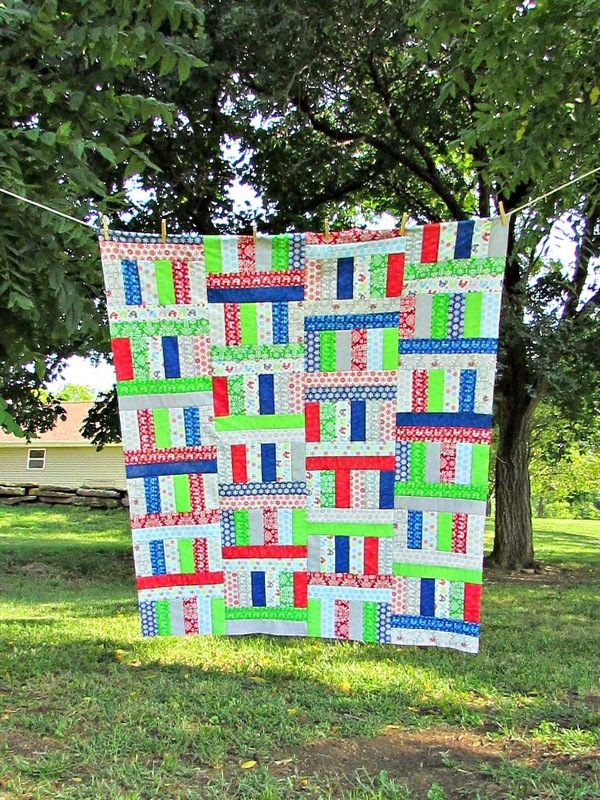 Jelly Roll Jam 2 lets you make 2 quilts from 1 jelly roll! Or make 1 quilt using strips for the front and back. Perfect for the next time you need a baby gift (or two). Seriously, I had this top put together in no time at all. 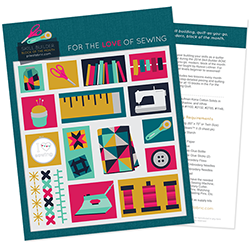 I think this free pattern would be great for quilt retreats and charity projects. You could easily do a scrappy version too. 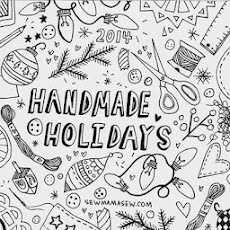 I chose to work with Folk Art Holiday by fellow KCMQG member Gina Martin (hi Gina!). I have been wanting to redo my Christmas decor and I just love the colors and prints in this line. There are fun wood grains, snowflakes, and folksy birds. Of course, you know me, I can't ever follow a pattern exactly. I made one top's worth of blocks, and decided I wanted to keep going! So my version finished at 4 blocks x 6 blocks, or 48 x 58. I added on 12 blocks to get a throw size for my family room. I used the other scraps from my strips to make a row for the backing. I trimmed each to 2 1/2" x 5 1/2" and sewed them together. 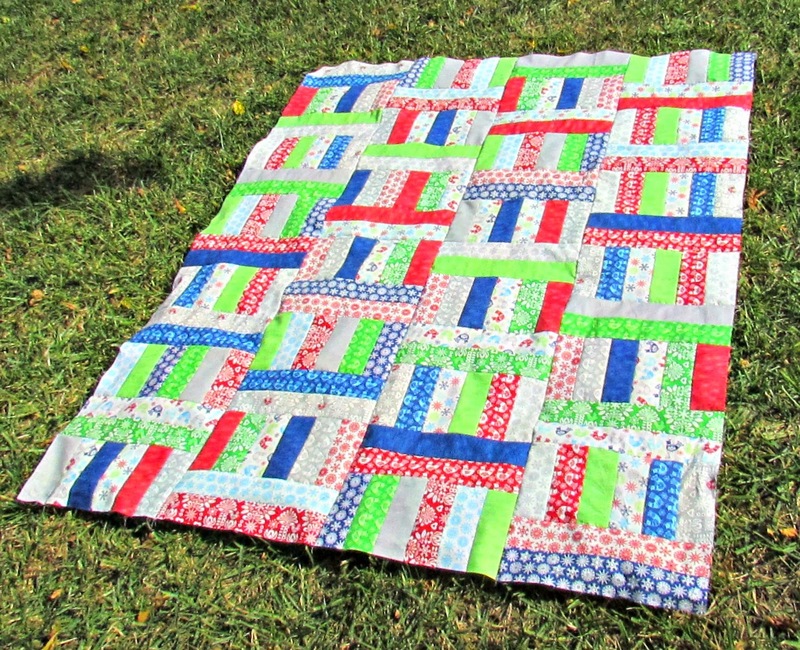 I am quilting this with simple straight lines, and I'll edit this post to add photos as soon as I'm done! I am super happy with it. Now I don't want to wait 3 months to get out my holiday decorations!! 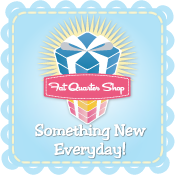 Thanks Fat Quarter Shop for another fun project and for the jelly roll to make it! Here's a list of the other bloggers who participated, so you can see all of the different versions of the quilt. 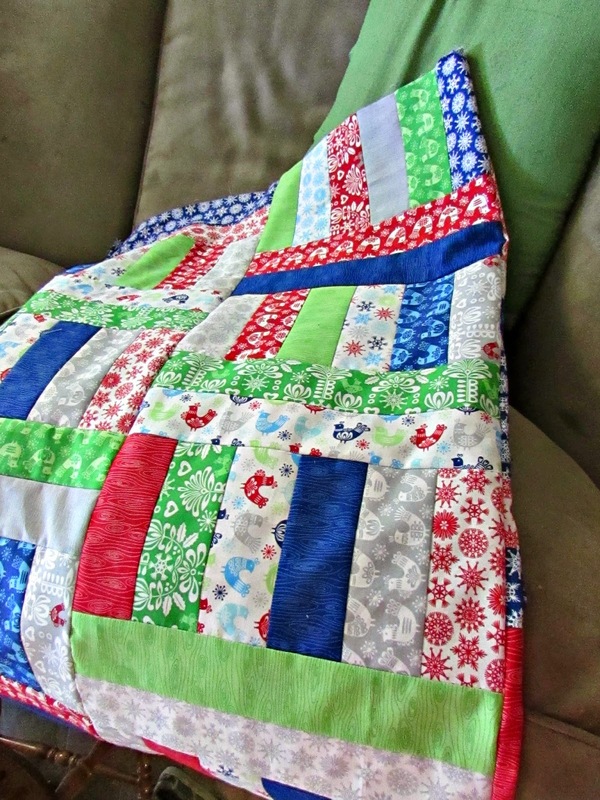 Those are great Christmas prints and it looks brilliant made into a bigger quilt! So cute,Tammie! Thanks for using my fabric!